Are you searching for Best income tax savings options? You should take care of your tax savings at the beginning of the financial year whether you are a salaried, businessman or self-employed professionals. 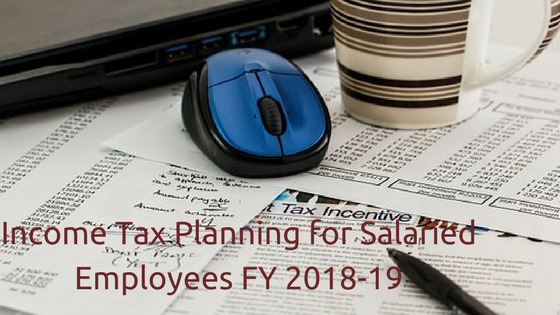 If you are not aware of various income tax deductions, read the article which describes the Income Tax Planning in FY 2018-19. Equity-linked savings scheme is a tax saving mutual fund in which you can save income tax up to Rs 1.5 lakh per annum. The investment in ELSS is deducted from income for income tax calculation under section 80C. You can invest in ELSS or tax saving mutual fund as much as you want. There is also a very minimum limit for investing. Even you can invest through SIP as minimum as Rs 500 per month. ELSS have a lock-in period of 3 years means you cannot withdraw money within 3 years of investing. Every SIP transaction is treated as a fresh purchase of the fund units. Hence you cannot withdraw the units equivalent to purchased units within 3 years from SIP date. The lock-in period of 3 years is the lowest among the tax saving options. The return from tax saving mutual funds varies from 12% – 16% which is highest among the other tax saving options. Know five best tax saving mutual funds to explore the investment options in the tax savings mutual funds. Tax savings mutual funds do not guarantee the return. It is equity-linked and there is risk associated to investment. So, assess your risk and invest in the ELSS mutual funds. PPF is a small savings scheme by which you can save up to Rs 1.5 lakh in a financial year. The investment towards PPF is exempted from income tax under section 80C of income tax act. Minimum investment in a year is Rs 500 only. You have to be invested for a period of minimum 15 years. You can extend the tenure by 5 years and so on if you don’t want to withdraw. The partial withdrawal of accumulated money after 5 years is possible from PPF account. The compounding of interest and investing for a long tenure (At least 15 years) has made it an excellent product for investors. Interest accumulated in the PPF account is tax-free on maturity. The only disadvantage is that the maximum investment in a financial year is Rs 1.5 lakh. You can deposit money in PPF every month. Depositing money before 5th of the month fetches the interest of that month. A maximum of 12 times can be deposited in PPF account through-out the financial year. Loan facility is also available for the PPF account holders. The interest is charged 2% over the interest of PPF at that time. If you have a girl child you can invest in Sukanya Samriddhi Account for a tax benefit of up to Rs 1.5 lakh under section 80C. Parents or legal guardians can open the account in their girl child’s name if the age of the child is below 10 years old. Only one account can be opened for every girl child. Any parent has maximum two accounts in the name of two children. This account is giving higher interest rate than PPF account. Generally, it is 0.2-0.3% more than the PPF account. The minimum investment in a financial year is as minimum as Rs 1000 and the maximum investment is Rs 1.5 Lakhs in a financial year. The maturity from this account is tax-free. You have to be invested up to 21 years age of the girl child. If the girl does not to continue the investment she can close the account. You can check the features & benefits of Sukanya samriddhi account in detail to review the scheme. This scheme is a very important one for senior citizens. Individual above 60 years of age can save tax of up to Rs 1.5 lakhs by investing in this scheme. Senior citizens can use this account as a regular flow of money as the interest is deposited in every quarter. The maximum investment in SCSS is Rs 15 lakhs. You have to be invested for a period of minimum 5 years. Premature closure is allowed but you will get less interest. The interest earned is taxable, unlike PPF account. The interest can be withdrawn through auto credit to savings account of the same branch and it is paid quarterly. 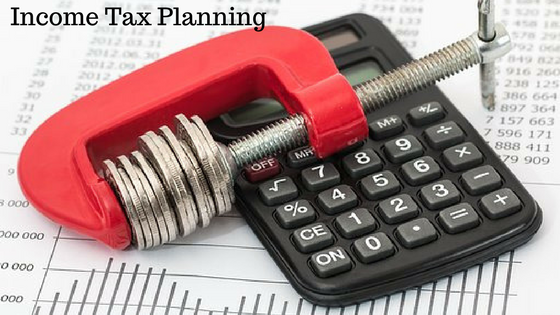 Tax saving fixed deposit is one of the simplest investment plan to save income tax under section 80C of income tax. Tax savings Fixed Deposit scheme has 5 year lock-in period. The interest rates of fixed deposit schemes are much less now compared to earlier. The investment is tax-free but the return you earn is taxable. You can open a tax saving fixed deposit at post office also. There is no limit for investment. You can invest as much as you want. You can save income tax of up to Rs 2 lakh by investing in NPS. Rs 1.5 lakh under 80C and additional Rs 50,000 under 80CCD of income tax. The investment can be as minimum as Rs 500 per month or Rs 6000 per annum. The investors can allocate the assets or investments such equity, bonds, etc. according to their expected return and risk-taking capability. The maturity amount is partially taxable at the time of retirement. NPS has the highest advantage in terms of tax benefit but you should consider the risk-reward return too while investing. National Savings Certificate or NSC is a tax saving option under section 80C of income tax. The income tax saving limit can be maximum of Rs 1.5 lakhs in a financial year. NSC gives you fixed interest rate which is set by Government of India periodically. The interest accrued in the NSC every year is compounded. Hence you will have good return. NSC maturity period is 5 years. The interest is taxable and it should be added to your income every year while calculating tax. You can invest in NSC in your nearest post office. Read all small savings scheme which is available at the nearest post office and their latest interest rates. ULIPs are one of the avenues in tax benefit under section 80C of income tax for Rs 1.5 lakh. ULIPs provide life insurance coverage with a good return. This plan is linked with equity and return is not guaranteed. The new age online ULIPs are having less charges and good return. If you are invested with more than 10 years in ULIP you can see a good return. Insurance agents are continuously betting for ULIPs over mutual fund SIPs. You can decide which is ideal for you ULIP or SIP. Premium payment for a life insurance is tax-free under section 80C of income tax. You can have deductions of Rs 1.5 lakh towards insurance premium. A term insurance is required for the persons who have dependents. Term insurance plan has no maturity value. It covers the life risk of insured persons only. You can take a term insurance cover of 10 times of your annual income. The endowment or conventional insurance premium has also the tax benefit but it is not worth of investing as the return is very less. You have tax benefits upon investing in various pension plans. Pension funds are of two types, deferred annuity, and immediate annuity. It ensures a monthly income for the retirees. You have to invest in bulk for immediate annuity plan whereas you can invest in small amounts to get a deferred annuity plan. LIC Jeevan Akshay VI is an immediate annuity plan. You will get pension soon after investing. NPS can be treated as deferred annuity plan. If you have not still completed the 80C limit of income tax you consider the above options as an investment for tax savings. Moreover, tax saving cannot be treated as only tax saving. The return is more important which defines your goal. Select the scheme from tax saving investment options according to your requirement and risk-taking capability.